* System to system integration. * Add-on modules to existing systems. 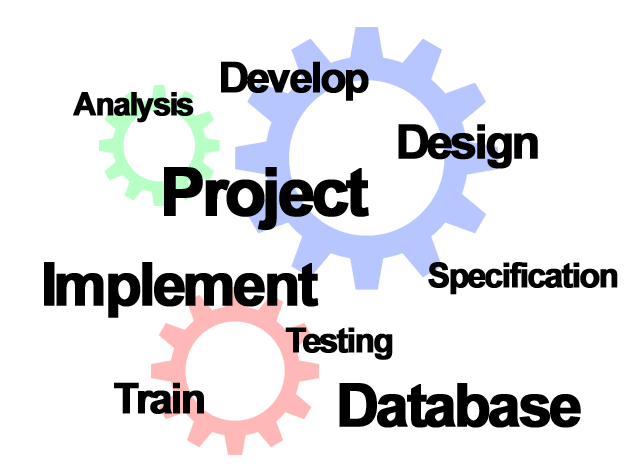 Object orientated languages are utilised to provide a graphical solution for true client/server applications. Applications written provide reliable and flexible long-term solution for any business. A combination of character based and graphical interfaces ensures a complete and flexible solution to the needs of any business, providing a technologically advanced solution with the latest technology. 4GL is the premier custom business development language. The 4GL environment provides the industry strength scalability and rapid application development required for a dynamic system solution. Data integrity and application performance is ensured through the use of IBM's relational database management systems. IBM Informix/DB2 has positioned itself at the forefront of relational database. It is for this reason that relational database management systems on offer from IBM Informix/DB2 make for a sound long-term investment for the storage of critical company data. Scalability is a watchword within IBM Informix/DB2. The products may be scaled from small businesses with few users to large global organisations with many hundreds of concurrent users. This allows system implementation with the security of a flexible future growth path. Various operating environments are currently supported and these include the Linux/Unix operating environment, Windows and IBM AS/400. All these operating systems provide for a multi-user environment for systems implementation. Hardware is supplied through our sister company, AtomGate. For more details, go to www.atomgate.co.za.